Elisa Pacelli talks about Groove By Zikera for the iOS. 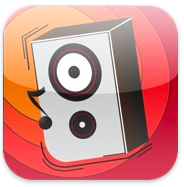 Rediscover your music in a variety of new and interesting ways. Groove studies your listening habits then serves them up in fresh ways, automatically. This entry was posted in AppMinute Podcast, iPad App, iPhone App and tagged in Groove, iOS, Music, Zikera.